It is with a heavy heart that I write to inform you all that the 2019 North Pole season has been cancelled by the team that operates Barneo, the temporary ice camp near the North Pole. After suffering nearly 10 days of delays due to political wrangling for planes between Russia and the Ukraine, the final straw was that the back up plan failed as well. Because we could no longer count on the use of an Antonov 74 for the season, a Basler (DC-3) was contracted from the Canadian company Kenn Borek. 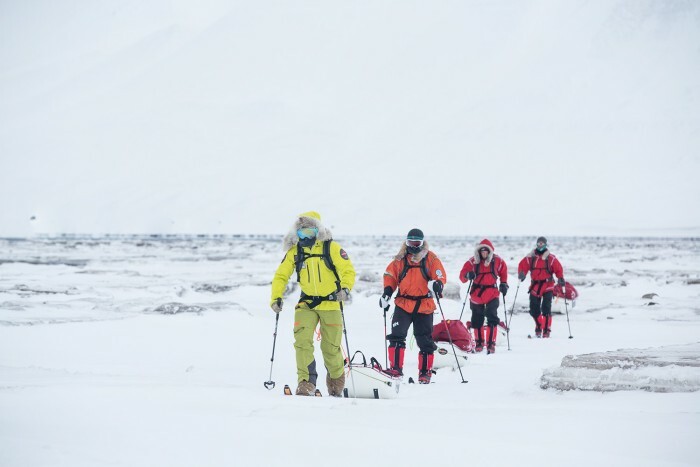 The crew successfully made the long fight via the ice camp at Barneo to Longyearbyen with little or no problems. However, due to unstable weather in Longyearbyen, the Basler would not be able to fly for several days, impacting future flying operations (and safety) for skiers potentially on the ice. It's a perfectly logical decision, and in one sense, a relief. We have been living in uncertainty for so long that the only thing better than a 'yes' is a 'no' in this situation. This decision ends the nearly 10 days of roller coaster information that often times swung wildly from one side to the other. Just this morning there was a 'guides' meeting reviewing flight schedules and other important logistics. Only an hour later, we received a message that everything was cancelled. Then maybe not. Then an official cancellation. This is not a place for the feint of heart. There is no question that this has been a frustrating process for everyone involved. Worse, this is a situation where everyone looses. Skiers, guides, the Barneo team each of us invested a substantial amount of time, energy and expense. It will not be easily recovered from. And then, there is the Arctic Ocean. There is a reason why these things happen in a place like this. It is untamed wilderness - one of the last great frontiers left on planet Earth. No matter how much we try to wrangle it into compliance for a few weeks every Spring, the sea ice still has the final say. At least for now. I fear that the opportunity to do these types of adventures will not last. While I'm positive the North Pole season next year (and many years into the future) will go off without a hitch, the clock is running out on ice; and that, more than the cancellation of this season, makes me sad. Image: The polar banana (me) leading the team on a short training ski.